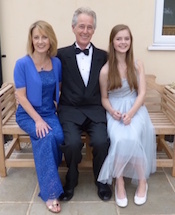 In 2016 Jacqueline was invited to give a concert in Norfolk with her husband, bass-baritone Simon Grant, and teenage daughter, Eleanor Grant (singer and double bass player). 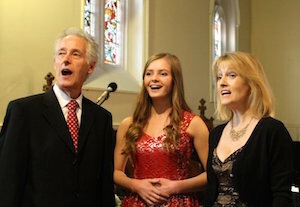 'A Family Affair' was born, an eclectic concert programme of solos, duets and trios based on a family theme - everything from Henry Purcell to jazz and contemporary musical theatre! 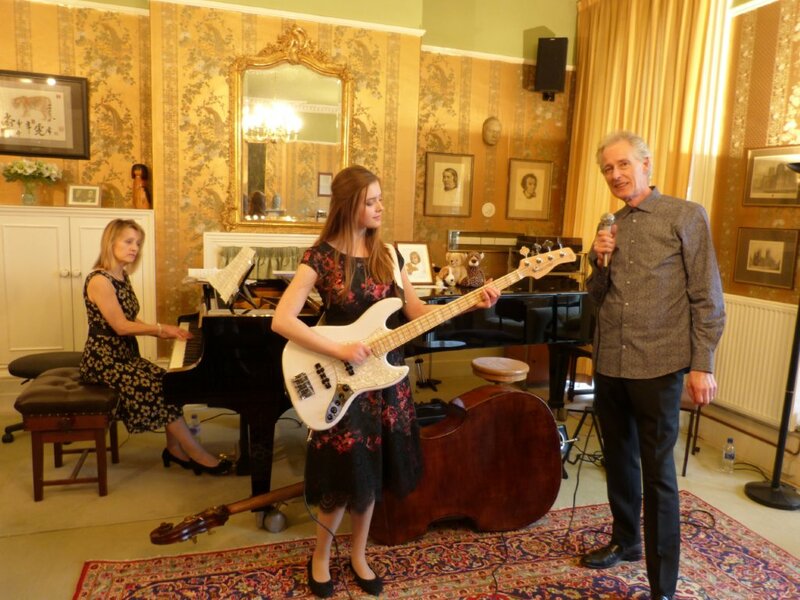 Jacqueline presents, sings and accompanies on the piano, Eleanor sings and plays double bass/electric bass and Simon provides vocal 'percussion' as well as singing, and writing many of the arrangements. Since that first concert they have been invited to perform at festivals and concert series throughout the UK. 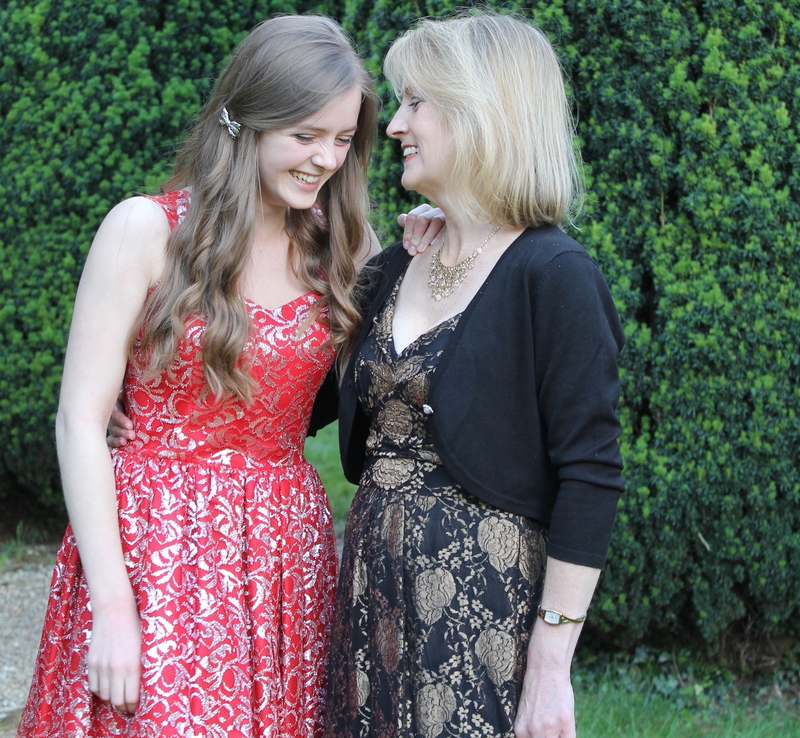 Eleanor Grant holds both music and drama scholarships at Queenswood School, Hertfordshire. She sings, plays the piano and is an accomplished double bass player, studying at the Royal Academy of Music on Saturdays. She has played with several orchestras including the Barbican Young Orchestra working with eminent conductors such as Gustavo Dudamel and Edward Gardner. She was chosen to play alongside members of the BBC Symphony Orchestra at the Royal Albert Hall in the Last night of the Proms 2016 in a new commission Raze by Tom Harrold. Eleanor has recorded for composers such as Rachel Portman, Patrick Doyle, John Debney, Alan Menken and top record producer, Guy Chambers. Her singing can be heard on the soundtracks of several films, including Dream House (main titles) starring Daniel Craig and Rachel Weiss, and the French film War of the Buttons. Her voice opens Disney Dreams in Disneyland Paris (20th anniversary show). 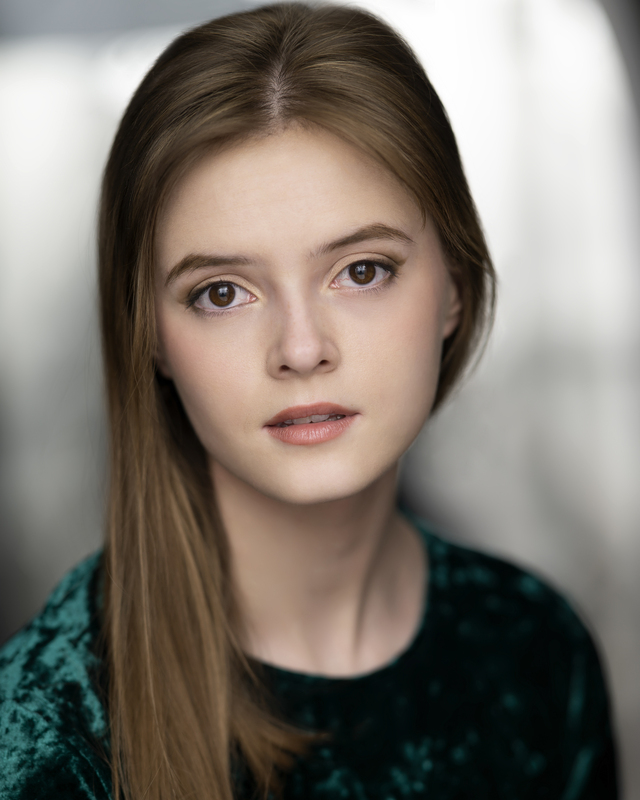 Eleanor made her solo debut with English National Opera in 2012 in Jacob Lenz at the Hampstead Theatre and in 2016 appeared in Tosca (shepherd boy) at Chiswick House. She stars in the film Nativity!2 released in cinemas for Christmas 2012, acting alongside Jason Watkins and David Tennant. Recent acting credits include an educational film It's grammar time (Silversun Media Group). At midnight, New Year's Eve, 2014, Eleanor sang John Lennon's Imagine whilst playing a white piano overlooking London's Houses of Parliament on the South Bank. She was invited by UNICEF as part of their initiative to help inspire a global movement towards a better future for every child. Eleanor was chosen by film director Richard Curtis to represent the UK and performances of the same song took place in New York, Cape Town and Rio de Janeiro. Eleanor's single In Your Arms is available to download on iTunes and Amazon. The song, written by Michael McDermott, will be featured in the upcoming animated movie Louisa: An amazing adventure produced by GB Films. A music video of Eleanor singing In Your Arms has just been released and is available to view on Youtube. Simon studied singing at the Guildhall School of Music and Drama. He began his career in the BBC Singers and the Swingle Singers. His rich bass-baritone voice is much in demand in mediaeval and baroque music. His many solo recordings include Monteverdi's Vespers, Bach Magnificat (Andrew Parrott), Charpentier's Te Deum and Missa Assumpta est Maria (St James's Baroque Players), John Blow's Venus and Adonis, Locke's Psyche (Envy and Bacchus), Monteverdi's Orfeo (Caronte) and The Play of Daniel (Balthasar). 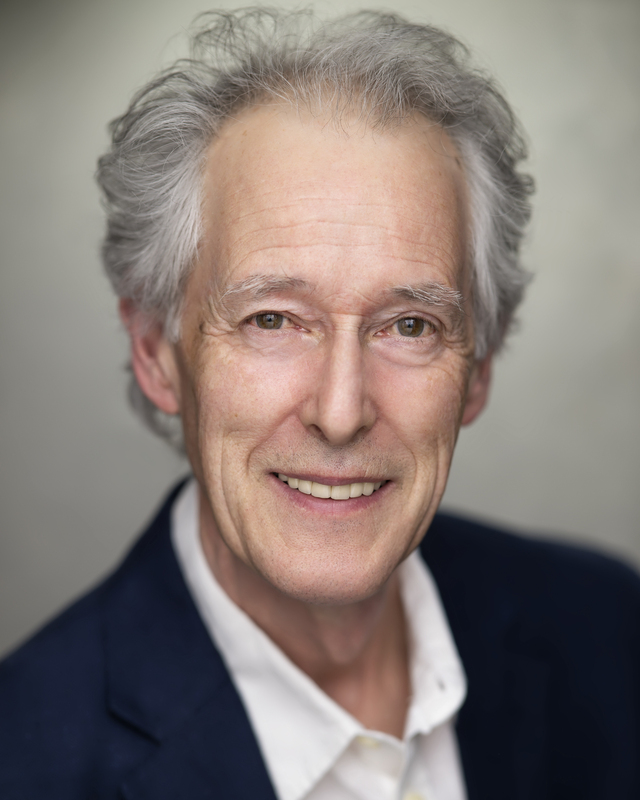 He played Caronte in Peri's Orfeo at the Drottningholms Slottsteater, Stockholm and appeared in Purcell's Dido and Aeneas (Sorceress) on London's South Bank (celebrating 50 years of the RFH). He sang the role of Caronte in a semi-staged production of Monteverdi's Orfeo at the Royal Festival Hall, directed by Jonathan Miller, to great critical acclaim. Further performances were staged in Norway, Beijing, the Canary Islands, Luxembourg, Warsaw, Budapest and Mexico City. South Bank concerts include the Bach St John Passion (Christus) and Purcell's Indian Queen. He performed Purcell's The Tempest at the Cite de la Musique, Paris and in Prague (2016). Simon Grant's involvement in contemporary music has led to performances with the Matrix Ensemble, Electric Phoenix, Ensemble Modern, Tenebrae and Synergy Vocals at venues such as Carnegie Hall, Lincoln Centre (New York) and La Scala, Milan. He has sung The Father in Kurt Weill's Seven Deadly Sins many times, most recently at Glasgow City Halls with the BBC Scottish Orchestra (2016). He sang the world premiere of Where Two World's Touch (by Helen Chadwick and Howard Moody) at the Salisbury Festival and appeared in David Byrne's Meltdown Festival on London's Southbank. Simon can whistle and hum at the same time, an unusual talent he has demonstrated on numerous radio and television programmes worldwide (including Radio 4's 'Pick of the Week'). His daughter, Eleanor, shares this talent and they were both featured on the recent radio programme 'The Whistling Woman' (BBC Radio 4). Simon's whistling is featured in the films Shrek, Shiner, Two Brothers, Sherlock Holmes and Wallace and Gromit - Curse of the Were-rabbit. Simon's vocal special effects have been heard in TV commercials and at the 2007 Academy Awards, Hollywood, when he helped recreate vocally the soundtracks to famous scenes from movies such as Jaws, Brief Encounter and Psycho.